This year is our 75th anniversary, to celebrate the club is organising an off-road weekend at Canada Heights, Swanley, Kent. 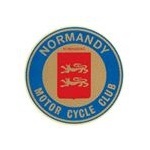 The event is FREE to Normandy members on the Sunday a 'fun practice' 3 stage trial will organised, which is FREE to members and £25 to INVITED guests. Pre-booking is a MUST using the booking forms below get this filled in and sent to Richard ASAP.